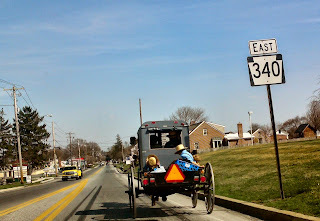 Lancaster County is one of our favorite places to travel with friends and family. We visit so often, it could be considered our second home - a great base camp for RoadAbode Adventures. Frequently called Pennsylvania Dutch Country, the naming of Lancaster actually receives its roots from England. The area was actually named after the city of Lancaster in the county of Lancashire in England. Lancaster is both the name of our Pennsylvania county, encompassing over 980 miles of land, and also the largest city in the county. We love the area for the breathtaking views of Amish farmland. Besides it's agricultural roots, Lancaster seems to draws a diverse mix of industrial, retail, and eclectic artisans to the area. Just as diverse are the people of Lancaster. 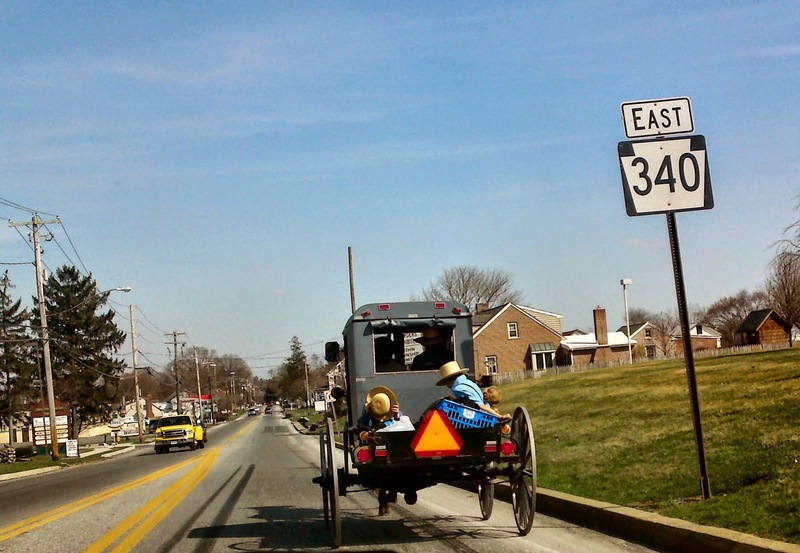 The county is known for it's quiet long-standing religious communities of Amish and Mennonite. Lancaster City has a growing population of Hispanic immigrants, and the entire region is quickly becoming a place where retirees from across the country come to call home. Below are just a few of the wonderful places we've visited. If you have a favorite we missed, please tell us about it in the comments section below - we're always looking for more Adventures with RoadAbode. There is so much to experience in Lancaster, we enjoy different adventures, depending on what area we want to explore during our visit. For more information on all the happening in the Lancaster area, check in and Discover Lancaster. Here are our three "go to" campgrounds, and how each affords us a different flavor of Lancaster. A short drive through farm and woodland from Route 23, Lake in Wood is a beautiful wooded campground. Highly rated by Woodalls and Trailerlife, it features an indoor/outdoor pool, cafe, and store featuring all the items a RVer may have forgotten, and some items they never knew they needed! All the main roadways within the resort are hard-coated and smooth. The RV sites have full hookups and there is free WiFi available on the premises. If you bring children along on your travels, there is plenty to keep them occupied. Fun stuff like paddle-boats, bikes, and pedal-carts are available to rent. Also there are two great playgrounds and a nice mini golf course if they want to play a round. Most months have planned kid and family activities so you can get out, have fun, and meet your neighbors. There's even a play yard for your "furbabies" if your four legged kids like traveling by RV. If you have friends or family that don't RV, they can try out one of the unusual rentals available. Who wouldn't want to stay in a converted double-decker bus, teepee, ship-wreck or tree house? There are other units just as interesting for their camping options. One thing that you will find either cute or creepy are the "gnomes", little men and women in red, pointy shaped hats abound throughout the landscaped gardens, and pathways of the resort. The cafe is even called "The Gnome Cafe" and the decor takes the Gnome obsession to a whole other level. We think the gnome theme is really cute, but more jaded tweens and teens seem to just roll their eyes. What we visit when at Lake in Wood ~ If you're in the mood for cool cars and catching some drag racing, head just five miles up the road from Lake in Wood to Maple Grove Raceway. Every weekend from April to November (the months we most like to RV! 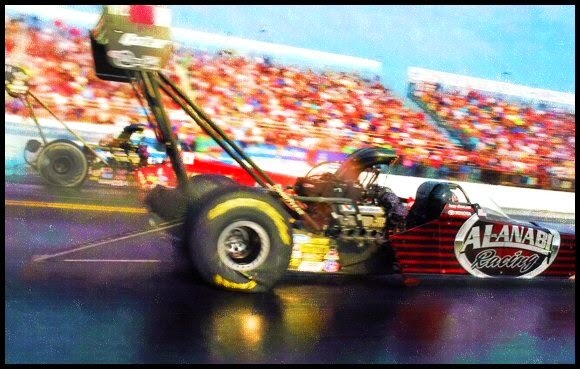 ), you can catch NHRA Drag Racing and other Motorsporting events. There has been a track at the site since the 1930's, and it has been operating continuously as Maple Grove since 1960. The track is a quarter mile drag strip with the viewing stands close to the action. Lots of fun, food, and cool things to see for all ages, but be warned - it gets LOUD! Lancaster is famous for it's smorgasbords, and one of the best is just a few minutes away from your campsite. Shady Maple has been a favorite of church groups, bus trips, and families since the erection of the first produce stand at the location in the 1970's. It's possible to spend your whole day at the Shady Maple complex. There are a variety of shopping experiences, and even an RV dealership. Lancaster County's largest smorgasbord features plenty of mouth-watering treats, including some delicious and authentic Pennsylvania Dutch specialties. Foodie Tip - If you want to sample good Dutch cooking, but want to save your waistline and budget, try one of the two other eateries in the complex; The Dutchette is located in the huge gift shop below the smorgasbord, and the Maple Leaf Cafe is located inside the entrance of the Farmers Market. Both offer healthy portions of Dutch cooking with a casual friendly dining experience. When shopping in the Shady Maple Farmers Market, you'll find it specializes in products from local farms, but is also a full fledged supermarket. Check out the goodies in the large bakery, extensive meat shop, and find some very interesting medicinal selections in the pharmacy. I marvel that for locals, this is their regular grocery spot! Good's Store is another local gem by the Shady Maple complex. Describing it as an "Amish Walmart" does not do it justice, but it's the best visual I can give. When we visit, our family is keen on perusing the large fabric and sewing department, gardening section, and shop among the interesting kitchen items. Clothing, shoes, and the handmade toy aisle also are favorites of ours. Be warned, we rarely leave without buying something. As the Pennsylvania Dutch community says, "Come Onct" to Good's Store! Spring Gulch was the first campground that we stayed with RoadAbode way back in April of 2005, so this resort will always holds a special place in our hearts. The campground is large, split into a lower and upper campground. Both areas have their own large pool, playground, restrooms and shower facilities. In the lower section, is a hall where bands and DJs entertain campers on many weekends. Individual sites (especially those in the upper campground) are roomy with full hookups. The main roads into the resort are hard surface, but most side roads are gravel. With plenty of activities for the kids, this park has a fishing pond, mini golf, and planned arts and crafts. Adults can take advantage of the day spa located on premises. The campstore is well stocked, and will have what you may need while RVing. Gone with the Wynns, one of our favorite RVing bloggers, even made a video featuring why they enjoy this resort. What we visit when at Spring Gulch ~ We love to go thrifting, and when staying in this section of Lancaster County, it's a short trip to hit the Goodwill store in the town of East Earl. The store offers two floors of sometimes new or gently used clothing and household items.For buried treasure, dig through the clothing bins in the lower level. More upscale than Goodwill is the Re-Uzit Shop in New Holland. Run by the Mennonite Church, the proceeds provide food, health, school, and relief supplies for people in need both locally to the Lancaster area, and throughout the world. This store is neatly organized and has the feel of a small department store rather than a thrift shop. Beautiful glassware, unique furniture and current fashions can be found easily, and at great prices. For those that like to dig through to find a treasure, there are opportunities in their bookstore, Christmas, and household item areas. We always enjoy taking a ride through the countryside for a sample of local fare. One stop we love for a bite to eat is Yoder's Country Market. Yoder's offers a great variety of comfort food and local favorites. For those not afraid of expanding their waistline, try the lunch or dinner buffets on for size. They even have a gluten free menu. Besides the restaurant, they have a full grocery store to stock up on essentials and Amish goodies like smoked meats and shoofly pie. Take a stroll, let your meal settle in, and check out the cute gift shops they share space with. Country Acres Campground is located right off Route 30 For the RoadAbode Crew, it's the easiest and closest campground to travel and arrive within an hour of Philadelphia.. Having a smaller footprint than either Lake in Wood or Spring Gulch, Country Acres still offers ample amenities, and a few that the other two campgrounds do not. Nestled between Route 30 and Amish farmland, the campground has all gravel roads and sites. Some of the campsites are located right next to the fields, and many have views which allow you to see the Amish working the soil. Of the three parks, the restroom and shower facilities of Country Acres are our top rated. Well lit with heated floors, ample shower stalls, and clothing hooks, are appreciated especially during the colder months. The campground has a small playground and arcade. The camp store is not stocked as fully compared to the other resorts, but it is just a few minutes drive to pickup needed items in a local convenience store. Part of the reason we love this campground is the smaller size. With less children's activities, it seems to be a quieter experience for us. Restaurant and Smorgasbord. Local favorites and scrumptious desserts are on the menu, and plentiful. Although I enjoy the variety of vendors lining the aisles at the authentic Farmers Market located next to the Bird in Hand Inn, the rest of the RoadAbode Crew like our relatively close proximity to the Rockvale Outlets. This shopping experience boasts over 90 outlet stores, and close to a dozen eateries to keep your strength up while hunting down deals. Other interest shopping venues include Tanger Outlets further west on Route 30, and the uniquely Pennsylvania Dutch Kitchen Kettle Village, located east of Bird in Hand Restaurant on Route 340. If we don't even feel like driving, right outside Country Acres Campground, on Levens Road is the Almost Paradise barn, packed with statuary, knickknacks and home decor. Sometimes it's nice to stroll from our campsite and take a peek at the offerings there. In warmer months, they also offer locally grown produce. A great addition to a meal made in RoadAbode. For entertaining theater, Sight and Sound Theater, Rainbow Dinner Theater Dutch Apple Dinner Theater, and American Music Theater include performances for all ages. If you have a favorite we missed, please tell us about it in the comments section below, we love to learn about treasures worth visiting in Lancaster County. For more information on all the happening in the Lancaster area, check in and Discover Lancaster.